Don't forget to use our ChIP code: 8020! 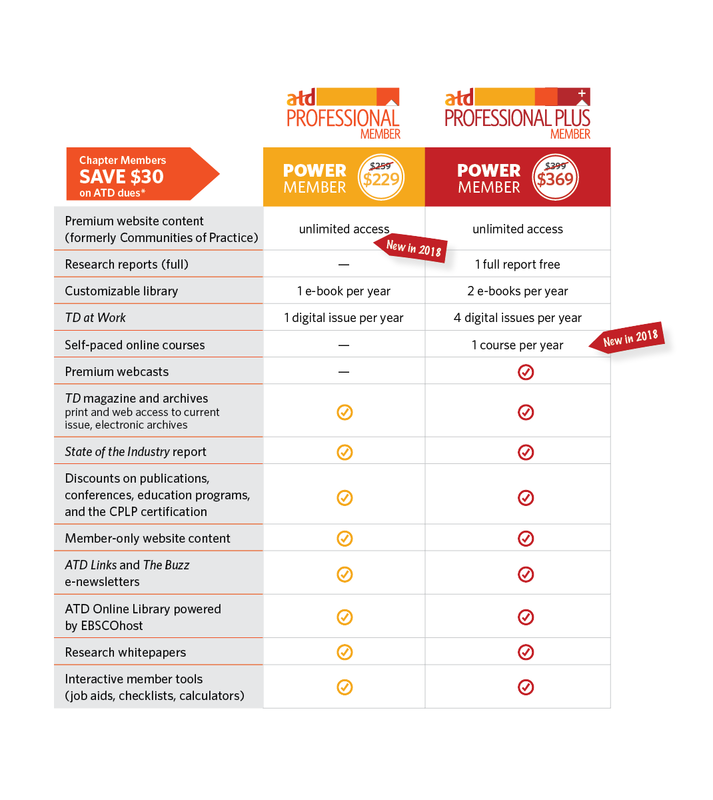 What is a "Power Member?" When ATD members join both their local chapter and ATD, they choose to be change makers in their own backyard and knowledge leaders in the talent development profession. Joint membership offers learning professionals a unique opportunity to connect with local, national, and international professionals. Joint members can learn about trends in the field, and gain access to research, principles, practices, and templates they can apply directly to impacting organizational results, their community, and advancing their career. ** please note - these rates are for National ATD membership only. Local chapter membership rates can be found here.